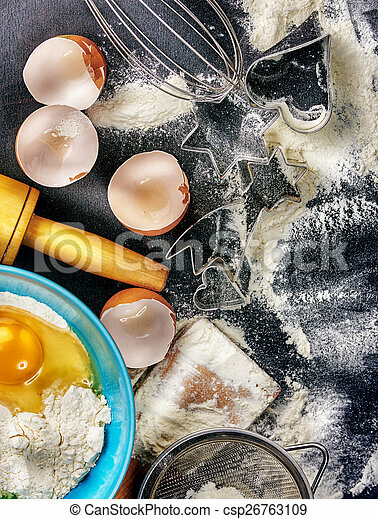 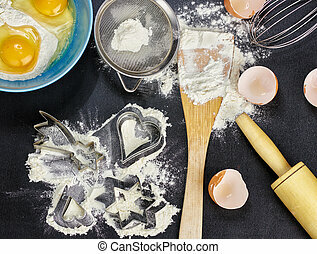 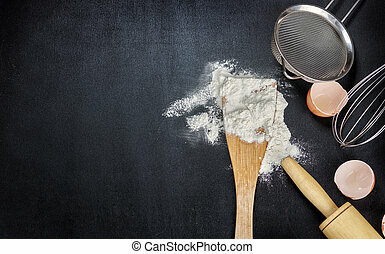 Flour, eggs, and cooking utensils. 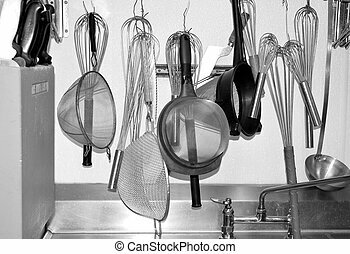 Cooking utensils in a hotel kitchen. 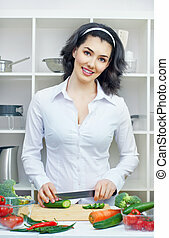 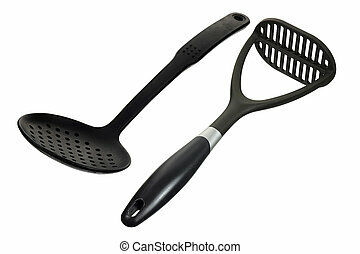 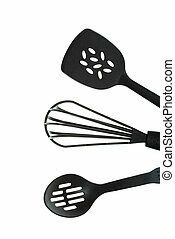 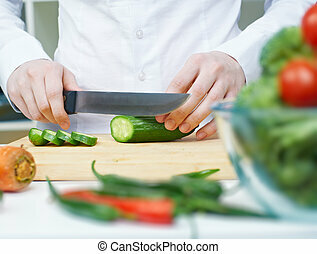 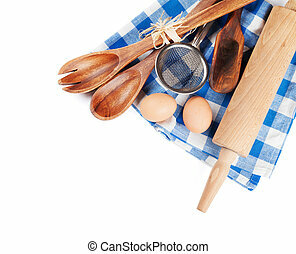 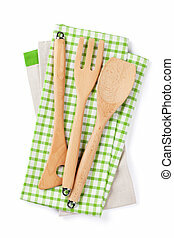 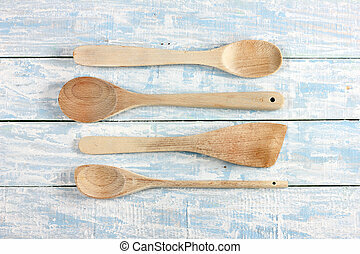 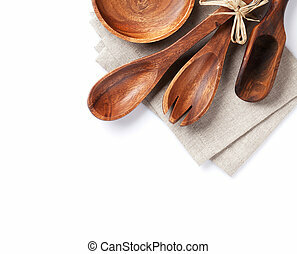 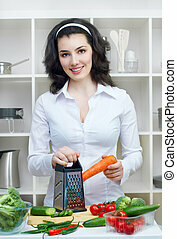 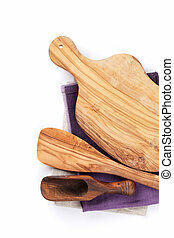 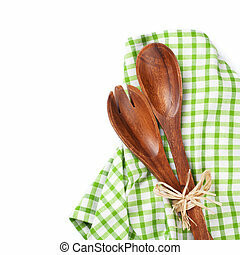 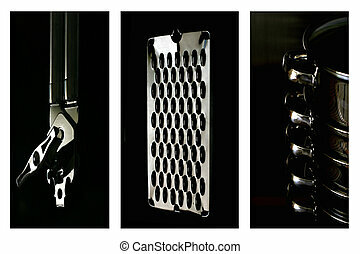 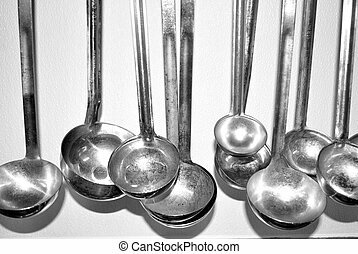 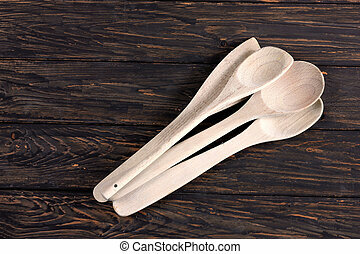 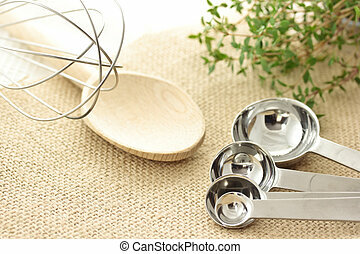 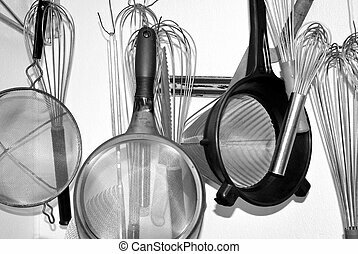 Black cooking utensils on a white background. 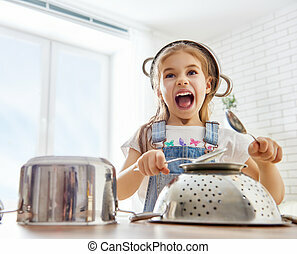 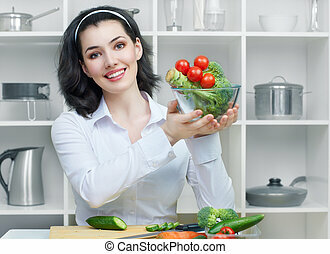 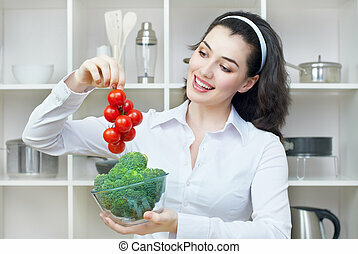 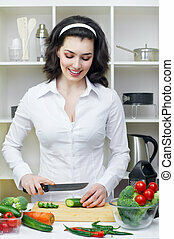 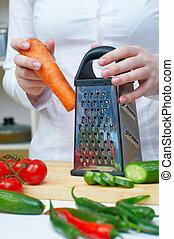 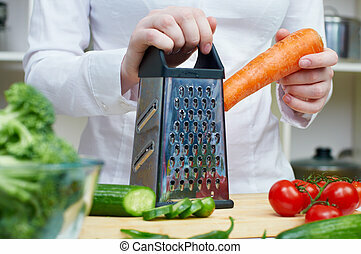 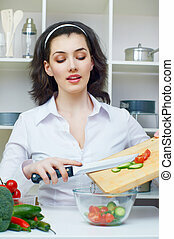 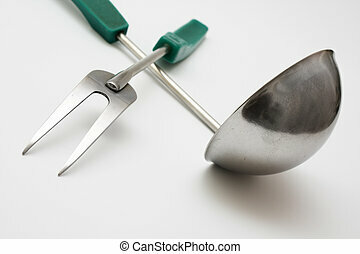 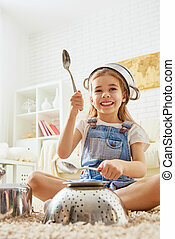 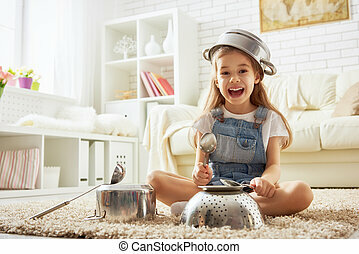 cute little child girl playing with utensils.